ITEM HAS BEEN DISCONTINUED. REPLACED BY LUMEX DIGITAL SCALE DSC250. Works with Lumex LF1040 and LF1041 Lifts. Weighs up to 600-lbs with 0.1% accuracy. Combines the latest microprocessor and load cell technology to provide accurate and repeatable weight data with a calibrated accuracy of 0.1%. 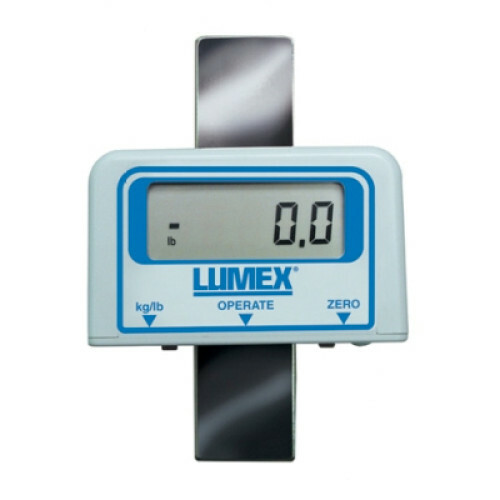 • Digital scale easily attaches to Lumex Patient Lifts. • Combines the latest microprocessor and load cell technology to provide accurate and repeatable weight data with a calibrated accuracy of 0.1%. • Measures pounds or kilograms. • Maximum weight capacity 600 lb. • Comes complete with attachment hardware.